Obstacle course racing. There is no denying it: the sport is here to stay. It is now the fastest growing sport in the world and for a good reason: it is so much fun! getting a little bit dirty…..
And being quick on our feet! Hundreds of thousands of people of all ages, shapes, sizes and ability levels now complete obstacle races every year. 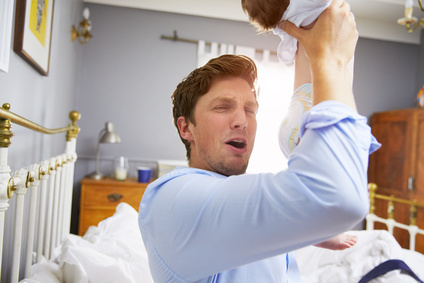 As a parent you’ve fought through sleep deprivation, complete mental and physical fatigue and every other obstacle parenthood has thrown at you. So what are you waiting for? Time to sign up! Get creative and train with your kids! Being strong is an important component of obstacle course racing. You need the strength to be able to hoist your own body weight over, under and through various obstacles in addition to hauling, pushing, pulling various heavy objects for ridiculous distances. 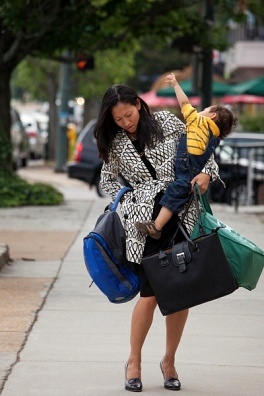 As parents, sometimes our hectic schedules do not allow trips to the gym for that much needed strength training. Not to worry! 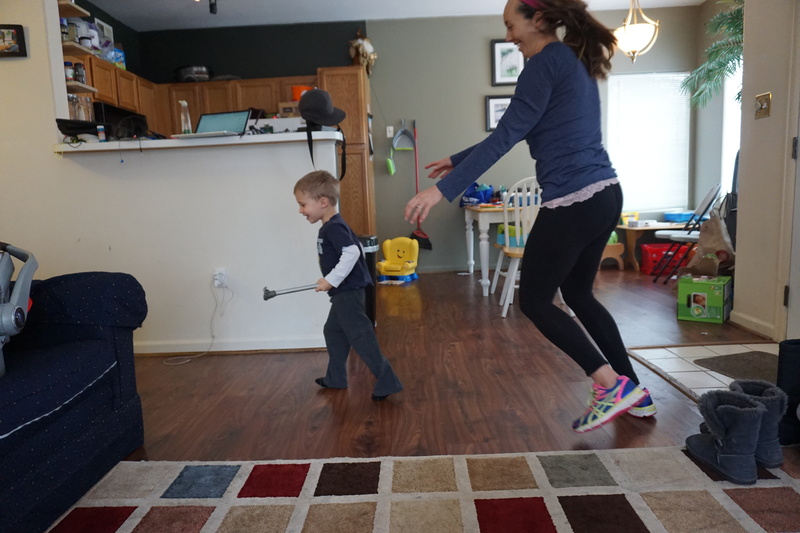 You have all the equipment you will ever need to train at home: your kids! – Carseat farmers carry: If you still have a baby/toddler at home, carry them around in their carseat for as long/as far as you can with one arm then switch. Also try carrying the carseat in front of your body with both arms wrapped around it. (This mimics the bucket carry in the Spartan race). This also works well with groceries. – Sandbag carry: Grab your kid(s) and sling them over/across your shoulder(s). Walk as long/far as you can or as long as your kids can hang on! Bonus points for laps up the stairs or a steep hill. 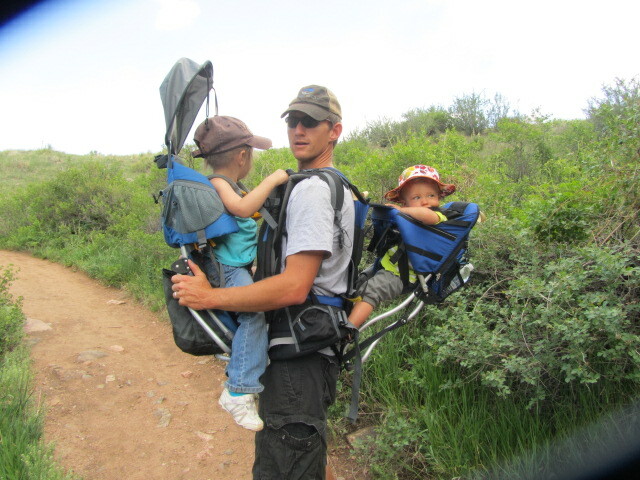 – Weighted leg work: If you have a younger/smaller child, put them in a baby backpack and wear them around the house while you do your regular activities. Aim to do 100 squats and 100 lunges (each leg) during that time. Can you do the monkey bars sideways? What about backwards? 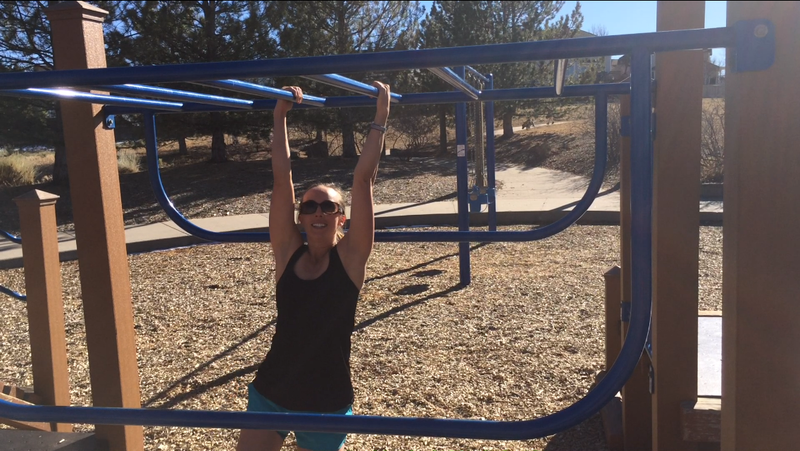 – Playground workouts: Most obstacle races have at least one monkey bar section. This can only be mastered with practice. Start planning regular trips to the playground with your kids and while they play get your training in. See how many times you can go across the monkey bars without stopping. ——> Check out our playground workouts page HERE for ideas! If you are nervous about getting up and over those huge walls this drill will help a ton. Find a ledge that is about chest height. Place your hands on the ledge and pushing your elbows in towards your sides jump up and press your body up at the same time until your arms are straight. Lower yourself down. Repeat 20-40 times, try to pop up quickly. Many obstacle races take place at venues where steep hills and rocky terrain is in itself an obstacle. Do some trail running. Don’t live near any trails? Find a steep hill or long sets of stairs and do repeats. Practice fast hiking. Some of the terrain is so steep or you are so exhausted from a series of obstacles that fast hiking may be all that you can manage in the race. 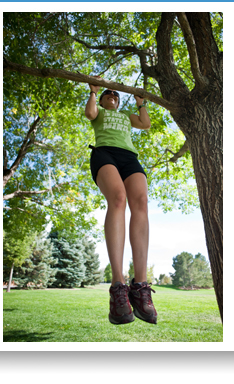 Tree pop-ups or pull-ups are a great way to increase grip strength! This is probably one of the most important tips. Many races tend to throw in some of the toughest obstacles right at the end, when you are the most fatigued. The rope climb is one that comes to mind. Yes, the same rope that tormented you in grade school gym class. – Pull: If you have a sled or old tire at home tie a sturdy rope to it and bring it to an open field along with your kid(s). Give them a “ride” by pulling them around the field as long/fast as you can! – Hang: Find a bar or tree branch and hang from it as long as you can. You can add some leg lifts if you are feeling ambitious. – Go rock climbing! Or purchase a handful of climbing holds and drill them into the walls in your garage or above doorways and practice hanging or pull-ups. Need some more outdoor inspired workouts? Workouts posted daily that you can do anytime, anywhere for FREE! Most people put on the brakes during steep downhills. This requires a ton of action from your quads which in the end will tire them for the next inevitable climb. As scary as it may sound, do not check your speed when running downhill. Just relax your body and let your legs carry you down as fast as the terrain allows. Focus on quick short steps, try to increase the rate of turnover. Scan at least 10 feet ahead for the next set of rocks or ruts to get around, do not look straight down. This strategy will not only save your quads but allow you to catch up if not pass people on long downhill sections! Many obstacle races take place on ski resorts where you may be climbing thousands of feet at high altitude. Also, obstacles may include swimming across lakes or crawling through mud or snow. This may seem like the recipe for wearing warm layers. Wrong!! You will be working so hard that you will warm up immediately. Any added layers will just soak up the water and mud, taking longer to dry and weighing you down. Check out one of our “amazing parent” interviewees Leslie St. Louis. This mama rocks! Knee length leggings and a short sleeve shirt or tank top seem to be the outfit of choice for both male and female racers. Gloves might be a good idea for races that involve barbed wire crawling sections or bucket/log carry. Make sure that you get to the event with plenty of time to check in, check your bag and plan for at least a 20 minute warm-up. You need to do a functional warm-up to make sure that all the muscles you will be using are really to work. Find a hill and hike/run it several times. Do some lunges, knee hugs, pushups and burpees. A couple planks or bear crawls to warm-up your shoulders and core. When you get to an obstacle that scares you, don’t hesitate, don’t look down, just do it! The more time you have to think about the height or difficulty of the obstacle the more likely you are to lose confidence, make mistakes and injure yourself. 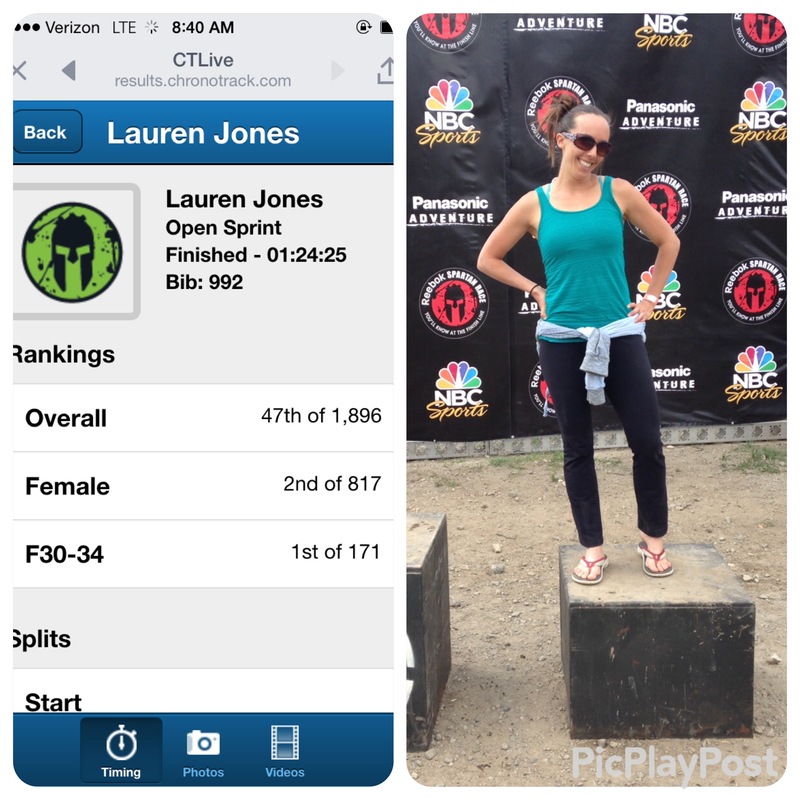 Mom of 2 and Spartan Sprint finisher! !